Introducing No.1 Botanicals. The UK’s only range of drinks containing pure, fresh botanical extracts beautifully blended with natural spring water and authenticated by the scientists of the Royal Botanic Gardens, Kew. Ten extraordinary herbs, carefully chosen for their delicate, aromatic flavours. Refreshing and different, our wonderful drinks contain no sugar or additives. And we use no plastics. You can of course find us on Facebook, Instagram and Twitter. Casual noodle and dumpling restaurant Shanghai Modern is the latest opening in Chinatown’s Central Cross. Chefs will prepare fresh dumpling and noodles in an open kitchen showcasing a number of regional dishes. stages of the competition, but choosing the Scholar from the group of eight winning Finalists was also a difficult task. Each year, the quality of candidates improves in terms of ability, experience, enthusiasm and social skills.” Special commendations were given to two other Finalists: James Dainton of The Northall at Corinthia Hotel London, for showing the most potential; and Tiziano de Mattia, of Hide Restaurant in London, who presented the most consistent performance. M Restaurants implements £10ph minimum wage M Restaurants have announced that from 1st March 2019 they will introduce a Starting Wage for all employees at £10 per hour. The move comes after Operations Director, Andre Mannini implemented M’s M-indful Days initiative in 2018. This entitles all employees to four M-indful Days per annum in addition to their existing holiday allowance, as well as access to Spill, an independent counselling app to promote mental health in the workplace. Staff wellbeing is something close to Mannini’s heart who comments: “We want our team to feel their best selves, both at home and in the workplace. Our M-indful initiative has been wholly embraced by the team and we seem to be going from strength to strength.” The £10 Starting Wage is seen as a basic requirement by M Restaurants Founder, Martin Williams: “I remember working as a kitchen porter in hotels and restaurants many years ago and thinking – I love the job, but the money is so much better in other industries. It is time for all hospitality employers to follow our policy at M Restaurants and unite in making our industry the most attractive employment option possible.” Williams slams the ‘poverty wages’ other companies are offering, continuing to say: “You see press coverage where the headline is a high profile hospitality leader quibbling about whether his staff are scraping together the living wage and arguing about whether ‘poverty wages’ is a fair description of the recompense he offers; next you see that hospitality staff are striking and I feel shame for the industry as a whole. “In a Brexit context, the industry faces a chronic staff shortage, as the country no longer attracts the amazing talent from Europe and beyond that we used to take for granted. As an industry, we should use the current environment as a catalyst to make hospitality an attractive option to a limited workforce and change our reputation as a low pay industry.” Brexit is clearly already making many in hospitality realise that the already acute people and skills shortages will be compounded by the government’s immigration white paper. We expect to announce many other similar wage increases in the weeks and months ahead from businesses also endeavouring to counter and insure against the people and skills shortages hospitality businesses will be forced to deal with. Uber Eats opens its doors to 50,000 restaurants Fifty thousand restaurants in the UK and Ireland can now serve customers with Uber Eats, as the fast growing food delivery app unlocks its technology to restaurants with their own delivery drivers. 10,000 restaurants in 100 towns and cities across the UK, and expects this number to more than double in 2019. These changes will be accompanied by a new service fee structure and self-service sign up tool designed to make it quicker, easier and more competitive for restaurants to partner with Uber Eats. who wanted to offer delivery using independent couriers available on the app. The announcement comes as new data reveals the growing food delivery market, which is expected to be worth nearly £10bn by 2021, is playing an increasingly important role in the growth of small and medium sized restaurants. For the 78% of Uber Eats restaurants that are small and medium sized businesses, on average food delivery is expected to account for more than 10% of their total revenue. news for pubs and bars, especially those with drink-led offerings, which saw closures slow from 3.6-a-day to 2.2-a-day over the past 12 months. Peter Martin said: “The last decade has seen a relentless decline in Britain’s number of pubs and bars, but there are welcome signs that the clearout of unsustainable sites is starting to ease. Atul Kochhar to launch new restaurant ‘Kanishka’ on Mayfair’s Maddox Street Atul Kochhar, the first Indian chef in the world to receive a Michelin star, is set to launch Kanishka on Mayfair’s Maddox Street this March. no-shows A third of restaurant diners admit they have failed to show for a reservation at some point in their life OpenTable data reveals more no-shows occur from phone bookings (4.6%) than online (4.4%) London, Manchester and Leeds are the UK cities where diners admit to the most no-shows OpenTable launches new Book Responsibly campaign to educate diners and make them think before noshowing for a reservation Over a third (33.7%) of UK diners reveal they’ve failed to turn up to their table booking without informing the restaurant at some point in their life. However, data from OpenTable finds that restaurant goers are less likely to no-show if they have made an online reservation. In 2018 only 4.4%* of online bookings through OpenTable in the UK resulted in a no-show, compared to 4.6%* of phone reservations. The behaviour described as a ‘no-show’ is a concern amongst the UK restaurant industry, with independent restaurant owners to nationwide chains stating it can have a significant effect on business. OpenTable, the world’s leading online restaurant booking service, has today unveiled a light-hearted campaign to encourage diners to ‘book responsibly’. Designed to help educate diners on the impact that not cancelling a reservation can have on restaurants and highlight how it might feel if the roles were reversed. “We can all be more aware of the impact that no-shows and late cancellations can have on a restaurant,” comments Adrian Valeriano, VP EMEA, OpenTable. “We have launched this campaign to help build awareness amongst diners of the issue and showcase how we continue to leverage our technology and diner network in ways that only OpenTable can to help reduce no-show rates and mitigate the impact of late cancellations.” The external research carried out by OpenTable shows that young adults admit to being the worst offenders with a quarter (25%) of 16-24-year olds admitting to regularly failing to show up for their restaurant reservation. 9 out of 10 Generation Z diners claim they have never stood up a first date (91.2%) or failed to show up to work without informing their boss (88.8%), but the same cannot be said for their attendance to restaurant bookings. As expected, due to the vast restaurant selection, the city with the largest number of diners who admit to having no-showed for a reservation at least once in their life is London (40%). This is very closely followed by Manchester (39%) then Leeds (38.7%). OpenTable’s latest campaign flips the idea of noshows to put the diner in the restaurant’s position. By ‘turning the tables’ on diners, OpenTable hopes to highlight how a no-show can inconvenience the party on the receiving end. How does technology help you keep up with them? For the UK restaurant industry, customers are becoming more demanding all the time – and upping your game constantly is now the only way to remain a player. Deliveroo, for instance, have just announced they’ll be enabling restaurants to offer dish-by-dish calorie information on their platform, and restaurants including Yo! Sushi, Jamie’s Italian and Pho are among those taking the opportunity. Healthy eating; veganism; ethical eating; fast dining; it’s a headache to keep up with it all – but so essential; and that’s why restaurant management systems are a massive trend in the industry. Restaurant EPOS software is providing a huge ally in the perpetual hospitality industry battle against rising costs, poor efficiency and waste. Restaurant management systems genuinely put power in your hands – serving staff use handheld technology including dedicated devices or tablets to take orders and payments tableside. Managers and owners, meanwhile, get a real-time view of operations online via their mobile or laptop. Restaurant management systems also capture information about diners, including their preferences, record what’s selling best and – importantly – help restaurateurs to identify what’s trending. So restaurant companies of all sizes now rely on restaurant POS software to streamline operations and reduce costs – especially multi-site groups who appreciate the head office functions it offers. So what features should your restaurant management system have if you want to be sure to keep up with evolving diner demands? Here are 9 key questions you should ask your technology provider. 1. Is this a dedicated restaurant management system? EPOS systems are available for retail, too, but you need more facilities than they can provide, so be sure your system has been specially developed to meet restaurant requirements. 2. Does it provide course management? 5. Can it keep my menu workable? Business fluctuates, so it’s crucial to manage your menu for different times of day so your staff don’t have to deal with a long menu. For instance, if you offer breakfast, lunch and dinner, you could end up with an unwieldy menu on the handheld device. To give demanding guests the best customer service, you need a flexible system that allows you to split courses to help the kitchen, and make changes such as substituting a starter as a main course. Your serving staff need an easy interface to make this happen, and the restaurant management system should integrate with kitchen technology so the printers or screens deliver the right information to each station. 6. What about diners on the move? 3. Can it go places for your guests? Your staff need to be able to send from their handheld devices to different destinations – orders should go direct to the kitchen, for instance, while payments can be taken at tableside and printed out in the restaurant. The same system will also allow you to transfer the ticket, and merge or split tables up. Aloha’s Guest Manager, for instance, suggests a table for wait time and profitability it won’t suggest three people are seated on a four top if it’s next to another that can create an eight. 4. Does it help chef design cost-effective dishes that don’t risk diners’ health? 7. Can it manage customers’ bills well? Your restaurant management system should be able to split bills easily - particularly if you run a casual dining restaurant where parties can be large. It speeds up table turn quicker and makes the dining experience seamless. The Aloha restaurant management system recently partnered with chef-designed Kitchen CUT technology that tracks potential allergens throughout dishes and menus and also helps chefs keep costs under control. The system also helps with stock control by identifying best-selling dishes, which helps with good procurement decisions and reduces food waste – an important issue for ethical diners. 8. Does the system help engage diner loyalty? It should capture diner data, because if you know their preferences you can create email marketing campaigns that will hit the mark and bring them back again. Since 1984, Purified Air has been striving to find the best and most cost-effective way to filter and control the oil, smoke, grease and odour produced by commercial kitchens. With the majority of industry brands already using our systems, Purified Air covers the Fast Food, Casual Dining and Fine Dining markets by providing bespoke systems dependant on the type of food cooked, the type of cooking process used and the volume of air being extracted through the exhaust. By working with these variables, we are able to design and supply some of the best commercial kitchen exhaust filtration and odour control systems in the world. Still a family owed company we pride ourselves on excellent customer service to back up some of the best equipment in its field With our equipment installed in commercial kitchens the length and breadth of the United Kingdom we have put in place a nationwide service and maintenance division, ensuring that our equipment is working at its optimum efficiency, completing over 8000 service and maintenance visits a year. From Restaurants to Pubs - Canteens to Take Aways Purifed Air is at the heart of commercial kitchens where ever they are. “People are looking for more from their drinks today, seeking out more sophisticated flavours, while being more mindful of what they’re putting into their bodies than ever before.” Tasting, learning and immersing himself in the history and flavours of botanicals, David collaborated with the team at Blue Sky Botanics to select nine more herbs – each with its own unique history – that could harness the power of nature and become Rosemary’s new family. No.1 Botanicals, the world’s first collection of single-extract herbal drinks launched in Autumn 2018 showcasing Basil, Fennel, Juniper, Lemon Verbena, Meadowsweet, Mint, Olive Leaf, Rosemary, Sage and Thyme. As with No.1 Rosemary Water, the new botanical extract drinks contain no added sugar, preservatives, sweeteners, additives, artificial colours or flavours. They are simply herbal extracts added to pure, fresh, spring water. Authenticated by the leading experts at the Royal Botanic Gardens, Kew, all ten herbs go through a complex process of extraction, in order to preserve the fresh plant in all its glory and retain its active compounds. Despite the complex science behind this range, the secret is in the simplicity of its flavours. Best served over ice; some of the drinks are sweet, some light, some earthy, but all of them delicate, aromatic and completely natural, with nothing added except a little light fizz. On a normal day, you could just walk past this restaurant with its understated exterior and positioning in Fulham, but what is served inside is certainly not understated, as this vibrant and aromatic take on Indian cuisine ensures not only an incredible dining experience, but one that also leaves a lasting impression, that you will compare others against. The restaurants interior is of simple but modern taste, but smart and relaxing. making recommendations and drawing calibrations between bread and meals, to ensure all favours are equally complimented and keeping your glass topped up. From our visit one recommendation that is a must is the Crab Kokum Fry, this dish is served on a huge platter, cooked and reinserted in the crab shell, served with a side sauce and a wedge of lemon, life does not get better than this, other than the garlic naan which is light, airy and smells delightful. Get ready for the Summer and prepare We may be experiencing a temporary and surprising heatwave, but all too soon this will be the reality as we move into early Summer. You may have noticed the surge of customers trying to sit outside over the last couple of weeks, which gives a good insight into what you can expect when the weather really does warm up. We design and manufacture freestanding canopies, tensile structures and covered walkways to businesses around the UK. We work with restaurants, retail parks, hotels, leisure centres, nursing homes, hospitals, and many more to provide sheltered, good quality outdoor space that is guaranteed for at least 10 years. We use high quality PVC coated polyester for the construction of our beautifully shaped tensile structures. It is chosen not only for its excellent strength, flexibility and translucency, but also for its impressive design life of 20+ years. The PVC polyester coating includes UV stabilisers, fire retardant additives, colouring and anti-fungicides and it can be fully recycled â&#x20AC;&#x201C; making it an excellent construction material for both permanent and temporary tensile structures. 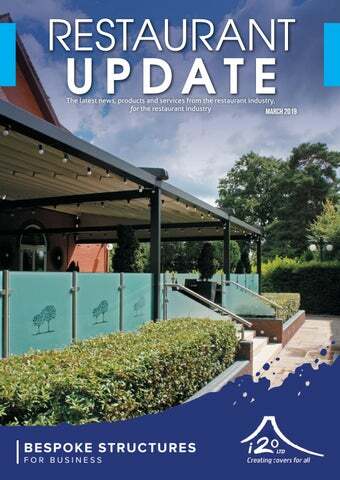 Case Study: Five years ago, the i2o team were contacted by the manager of Fairlawns Hotel & Spa in Birmingham, who needed a solution for their outdoor area. They host a lot of wedding receptions, so needed more outdoor shelter for guests, and it would also provide a year round dining and drinking area. They chose a retractable canopy, with three different segments, rolled back and forth as desired by remote control. All three segments are independent, allowing for completely flexible shade and shelter depending on time of day and weather conditions. Two of our sales team headed back over to Fairlawns to ask the manager about how the canopy itâ&#x20AC;&#x2122;s changed the day-to-day life for his business and staff. Why did you look into getting a canopy for the hotel? We wanted to improve the accessibility of the outside areas, linking the two together in all weathers and also provide our wedding events with flexibility around the weather. Why did you choose to use i2o? After speaking to a number of suppliers we liked the people at i20, felt the product specified was the best and most suitable available to us and also that the advice we received was really sound. Have you had an increase in business/covers/positive feedback? Yes to all. Our event customers love the space, guests always comment on the flexibility it provides and most of all it has provided them with spaces that are useful to them whatever the weather. Would you recommend getting a canopy, particularly from i2o, to other businesses? Yes. It has added great value to our venue, customer experience and definitely won us business over the last 5 years. These canopies are bespoke to your requirements and space. Give your guests a sheltered entrance or pathway at your hotel, beautiful outdoor dining areas in restaurants, or an area protected from the elements outside a bar. Our canopies suit a wide range of businesses, including restaurants, leisure centres, parks, outdoor theatres, offices, Colleges and Universities, car parks and other industries. We don’t limit ourselves to these styles however. We have an in-house team of designers and architects who love designing bespoke structures to fit your space. Contact us NOW to arrange a free site survey or to further discuss how an i2o Ltd canopy could enhance your outdoor space for staff and customers. Northern Restaurant & Bar 2019 is the place for leading operators, suppliers and industry figures to meet, speak and do business. From Liverpool to Leeds, the North East to North West and the Lake District to the Peak District, NRB19 brings the cream of the hospitality industry to Manchester Central on 19 & 20 March. NRB19 is sponsored by Korubu on stand E41. Connecting people with smarter hospitality technology to enhance, grow and improve business operations. Create more possibilities with hospitality driven IT infrastructure, Smart Energy and Guest WiFi software. The Chef Live theatre at NRB19 will see renowned names and rising kitchen talent from across the country demonstrate their signature dishes and ground-breaking cooking. Confirmed so far are: Mark Birchall, Moor Hall, Lancashire Alisdair Brooks-Taylor, The Moorcock, Lancashire Josh Overington, Le Cochon Aveugle, York Anton Piotrowski, Rรถski, Liverpool Adam Reid, Adam Reid at The French, Manchester Simon Wood, WOOD Manchester Cyril Gabriel, Carden Park Hotel, Cheshire. Essential Cuisine North West Young Chef of the Year 2018 For skills-based demonstrations such as butchery, fishmongery and patisserie head over the the Market Kitchen Theatre, where experts will guide you through their specialist techniques. Surrounding the Market Kitchen are small scale artisan makers of ice creams, breads, charcuterie and more. Northern Restaurant & Bar 2019 is the North’s hospitality exhibition. From food & drink to furniture & lighting and tableware & uniforms to tills & ordering systems, 275 companies will be exhibiting at NRB19, supplying everything a hospitality business needs to attract more customers, improve visitor experience, increase revenue and drive profit. Exhibitors include: Artis, Biffa plc, Bleep UK plc, Brown Forman, Crown Cellars, Fever-Tree, Halewood Wines & Spirits, Hopwells, illy, James Robertshaw, Lightspeed Restaurant ePOS, LWC Drinks, Matthew Algie, Rational UK, Stephensons, Tevalis, Unox UK, Westons Cider and hundreds more. For the full list visit northernrestaurantandbar.co.uk/ exhibitors Over on the drinks side of the show Drinks Live features spirits masterclasses with leading experts from international brands and indie producers. Drinks Live also hosts the annual NRB cocktail competition. Sponsored by Ms Better’s Bitters, one talented bartender will win a trip to Canada with guest shifts in Vancouver and Montreal. Surrounding Drinks Live is the Spirit Room, a curated selection of over 20 brands allowing you to sample their gins, rums liqueurs and more. Grape & Grain hosts wine, beer and cider tastings led by industry experts and exciting operators. Topics include 10 minute tastings and in-depth explorations in upcoming areas such as natural wine and low ABV beer. The Craft Beer Quarter offers tastings of a wide selectin of ales, IPAs, bitters and stouts from twelve craft brewers. Hosting industry events, meetings and networking in the centre of the show, the NRB Hub hosts the Kuits NRB Top Fifty awards, NDML’s networking event for NTIA, R Noone’s Buyers Breakfast, CityCo’s F&B Network, Ladies of Restaurants, Manchester Hospitality NetworkThe Female Hospitality Network and other dedicated hospitality gatherings. NRB19 will host the reception for the prestigious Kuits NRB Top Fifty, the powerlist of the most significant and influential hospitality operators in the North. The 2019 awards will once again represent this charismatic and dynamic industry when announced at 3pm on 19 March. Kuits NRB Top Fifty is presented in association with Biffa Plc, Bruntwood, CGA, Jelf, Metis Real Estate & RSM NRB Future is a unique new networking initiative to introduce the North’s hottest hospitality entrepreneurs to its leading professional advisors. NRB Future is designed to ensure that the region’s most talented young operators achieve their full potential. Northern Restaurant & Bar 2019 takes place 10:00-17:00 Tuesday 19 & Wednesday 20 March 2019 at Manchester Central. For Free Tickets Visit northernrestaurantandbar.co.uk NRB19 is a strictly trade-only event and is for industry professionals only. Telecoms, Utilities, Epos, Card Machines, Business Waste and Business Insurance to the Hospitality industry. By working with just one provider for all of the above solutions we help our customers save money, time and hassle. On average we save our customers around 40% on each service and as we work with all of the major providers in each industry we deliver the best business solution, service and commercial deal. OUR KEY BENEFITS Chip and Pin Solutions – Why choose us? We DELIVER the most transparent deal on the market; No set up fees, no authorisation fees, no statement or back office fees, no PCI fees, no non- compliance fees, no minimum monthly service fees – NO HIDDEN CHARGES OR NASTY SURPRISES! Site meeting to choose correct solution based on connectivity – Engineer install with staff training provided. 24/7 x 365 customer support. Utilities – Why choose us? Business Waste – Why choose us? We have over 30 energy suppliers we can utilise to get our customers the best deal. We take the hassle out of Energy Procurement. We deliver cost effective waste solutions based on your area and site – 12 month contracts only. We work with you to deliver the most cost-effective solution. We help cancel current agreements, we help with future renewals and our area managers are always on hand to deliver impartial advice to help you with this unregulated market! EPOS – Why choose us? We work with a number of 1st class EPOS providers to deliver the best solution for your business. Business insurance – why Choose us? Tried and tested Hospitality Insurer Partners to get you the best deal. Visit us at our stand A62 and find out how we can help you. We supply businesses of all sizes business landlines and business broadband including fibre. We can save you up to 50% than your current provider. We are chip and pin experts. We help reduce your processing fees by up to 40% and simplify the whole process. Our business phone lines are of the best standard. We check your existing line and address to see if you are fibre enabled. business gas, working with all major energy suppliers to obtain the most competitive quotes. Contact us and we will help you save up to 40% on your energy costs. We also offer up to £200 when you switch to mitigate any cancellation fees. Cheaper Business Services internet and broadband service offers various options of speed ranging up to 24mbps. Fibre Optic option available with speeds up to 76mbps! We use the latest technology available. Take payments on the go! Ensures connectivity across the UK. Never miss a payment again. Contact us and let us help you save up to 40% on your processing fees. Switching and saving is easy. Start here! Hospitality – Leisure - Catering – Retail – Education. All of these Sectors demand high quality products and systems backed up by a responsible, reliable and affordable Customer Support Service! 2001 PRS was formed to provide these Sectors with just that: - Affordable, Efficient and Reliable Systems and Support on a 7 Day basis. Using the latest state of the art technologies, epos software & apps integration, PRS are still at the forefront and over those years our customers and geographical base has grown and now extents to cover most of the UK. From individual business owners through to Blue – Chip clients they are all benefiting from the knowledge of our team and years of experience in the industry. About PRS – EPOS Systems Whether you are a pub, club, café, wine bar, cosy bistro or a fine dining restaurant; our Epos systems are tailored to fit your exact requirements and pocket. Our systems are intuitive and easy to use and are tailored to your business requirements to ensure you deliver to your customers an exceptional service. Contact our Sales team on 0800 – 174 – 461 for further information or to discuss your requirements. Menu Shop has over 30 years’ experience in creating products for the hospitality industry such as menu covers, menu cases, menu holders, bill holders, placemats, chalkboards, room folders, table numbers, stands, signage and much more! With thousands of products catering to the hospitality trade, you’ll be sure to find the right one for you at Menu Shop. 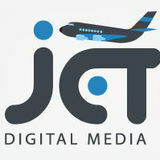 They offer more online than ever before with dedicated websites in the UK, Ireland, France, Spain, Italy and Greece. With over 30 different menu cover ranges to choose from you are well and truly spoilt for choice. You can choose your material, colour, fixings, size, trim and then personalise them with your own logo or design either engraved, foiled blocked, heat embossed or printed. This fully bespoke service allows you the opportunity to create a totally unique menu for your business. Their new sophisticated and incredibly durable Flex menu range offers five versions from wood effect, faux leather, rubber feel, synthetic cork and textured fabric. These flexible menu covers are a lightweight alternative to their best-selling traditional menu covers. They are easy to wipe clean and feature new pin fixings and matt clear pockets which make it extremely easy to insert your menus. It will come as no surprise that just like the rest of their products, these too can be customised and personalised to your liking. Equally as impressive is their menu case range. With over twelve different display ranges to choose from you are sure to find the right one for you. Choose from either wood, metal or acrylic as your material, then choose from wall mounted or free standing, angled or vertical, portrait or landscape, illuminated or non-illuminated, mains powered, or battery powered, fixed feet or lockable wheels. The options available are astounding. The new Impact Concept menu cases are a perfect example of how bespoke these display cases can get. With many different design templates available, these templates are only the starting point and can be modified and adjusted to suit your own design. If you can’t find a template that suits your needs, you can contact them for a fully bespoke design. An experienced graphics team is always on hand to help you find the right design for your business. Whether it’s a fresh new logo you’re looking for or a dramatic full-colour design, they can help make your ideas a reality. They deal with bespoke requests daily and work tirelessly to develop solutions and new products no matter how large or small. Menu Shop value all their customers and pride themselves on giving every client the same exceptional customer service and individual attention. What’s Cooking”: Comfort Food and Comfort Service with Orderman What’s Cooking have integrated six Orderman7 handheld terminals in to their daily workflow and have thus been able to streamline their operation to handle the high numbers of local as well as international guests attracted by their good reputation. “Adjusting our workflow to handle a high number of guests quickly and efficiently was a challenge for us, but after seeing Orderman in operation across Europe it seemed like it could be a good solution for our business”, says Lee Brennan, CEO of the restaurant chain. The Orderman hardware has proven very popular amongst the staff, as they have all found their Orderman7’s easy to use, reliable and compact. Individual members of the waiting team have also been equipped with highly portable belt printers, which made bill production much quicker. The entire process has been sped up even more, without guests ever feeling rushed or pressured. “Previously, we had been quite disappointed when we tried a smart tablet based system. It was just unreliable and temperamental. The staff lost confidence and abandoned its use very quickly. So, we started looking for a robust and reliable handheld ordering system that would improve efficiency in all areas. We chose Orderman and are very happy with the results”, Lee Brennan tells us further. The company is currently considering introducing Orderman hardware to another very busy site soon. Congratulations to our Orderman partner CCR Systems for an outstanding installation at “What’s Cooking”! Stand: A24 C.C.R Systems have been supplying, installing and maintaining Retail and Hospitality EPOS systems for over 35 years. We are an ISO-9001 registered company with a diamond award for customer satisfaction. We have hundreds of customers across England, Wales Scotland and the Falkland Islands. The ORDERMAN 5+ Restaurant table ordering system is without doubt the best of its kind in the world with radio communications technology that is completely reliable and failure free. Demonstrations are available on request at your site or here at CCR Systems. InnuScience Cleaning Preview Since the last Cleaning Show InnuScience has become a force in the hospitality sector, being selected by almost every new 5 star hotel opened in London since 2017. Their revolutionary biotechnology products, offering superior performance and unrivalled value for money, have ensured that they’ve been the fastest growing UK manufacturer of commercial cleaning products since 2016. How does biotechnology work? By using biological actives (fermentation extracts, enzymes and microbes) InnuScience can achieve the upfront results of strong chemical products, with a residual cleaning action that improves standards over time. Please have a quick look at their technology video, which in less than a minute will explain how the technology works on your kitchen floor and other hard to clean surfaces. What are the benefits of using Biotechnology to clean your restaurants? Performance You can expect a better cleaning result on porous surfaces, as the actives get into the micro pores and remove the dirt. These would be surfaces such as natural stones, tile grout and safety flooring. InnuScience’s dish wash products revolutionary use of biotechnology to improve both your hygiene scores and visual results on crockery and glassware. Price These products are priced to be competitive against conventional cleaning products, gone are the days of paying a premium to go green, save the planet and your budget! Planet Conscious For InnuScience this is simple, any product cleaning or otherwise should barely have any impact on the environment, for our planet to be protected. The InnuScience standard is ultimate biodegradability of 99.99% according to OECD test 301. Besides this internal strict standard, the cleaning products are either certified by Ecologo or Ecolabel. InnuScience are the first UK cleaning product manufacturer to launch an IoT based product monitoring system, Connected Cleaning. Connected Cleaning monitors product usage, which is then reported on a monthly basis, a gainst the budget per site. This allows proactive management of any deviations from budget that may occur. The system also reports back any diagnostic issues and empty products that have not been replaced. This is the launch functionality that will be developed over time to assist our hospitality customers solve cleaning problems. A clean and hygienic environment will no doubt have a positive impact on customer perception and where they choose to eat – however looking clean is only half the challenge. Food hygiene ratings have become very important to customers as awareness of the ratings has grown and operators risk losing customers based purely on their scores. Operators looking to improve their hygiene levels need to look at how food is handled during preparation, cooking, cooling, re-heating and storing. One way to do this is to swap clumsy, unhygienic cardboard cutterboxes for a Wrapmaster – the professional cling film and foil dispensing kit that can help streamline working standards and introduce a higher standard of preparation and storage. Using professional equipment for a professional kitchen can help minimise harmful bacteria and food contamination, as well as keep a clean and tidy kitchen space. Wrapmaster dispensers offer three key benefits versus cutter boxes, they’re hygienic, safe to use and dishwasher safe – all with the added bonus of coming with dishwasher-proof food hygiene stickers to aid chefs and help prevent cross-contamination. Only working with genuine Wrapmaster 45cm refills, the new Wrapmaster 4500 delivers a perfect cut every time with effortless dispensing of film, foil and baking parchment. Being light, the dispenser is portable and easy to carry; it’s also dishwasher safe, making it easy to clean and sanitise. With the added bonus of less material ending up in the bin, Wrapmaster is also proven to deliver a significant cost saving of 20%**. Adrian Brown, Managing Director, Cofresco Foodservice www.wrapmaster.global **ISS trial. 20% less cling film, 25% less foil, 25% less parchment versus Cardboard Cutter box. Featured exhibitors We have a number of new exhibitors joining us in March as the exhibition continues to grow. Major brands and organisations exhibiting are set to include Rubbermaid, Vileda and Diversey. They will be joined by Evans Vanodine, Mirius, I-Team and Arrow County, while TTS and Kimberly Clark Professional will also be attending. These and many others who work closely within cleaning and hygiene will have all of their newest products and services on display and will be demoing all of the latest systems, gadgets and innovations which are set to transform the FM industry. The three day conference programme will feature speakers from across the cleaning, hygiene, waste management and FM sectors. 12.30 Panel Debate: How can recycling in the cleaning sector aid the circular economy? Moderator: Neil Nixon, editor of C&M and conference director for the Cleaning Show. Panelists: Lorcan Mekitarian, sales director, RPC bpi recycled products; Åsa Degerman, global brand innovation manager, Essity; Owen George, group development and innovation manager, and John Brill, sales director, Nilfisk. on the show floor and in the conference programme which is set to explore the major issues that impact the hospitality sector including hotels, restaurants and leisure facilities. Moderator: Dennis Flower, editor, Premises and Facilities Management Magazine. Panelists: Matt Coulson, CEO, Chiswick Park Enjoy-Work; Sandrino Viera, Chiswick Park guest services manager, JPC; Mark Loubser, head of environmental services, Intu Retail Services, and Michael Foreman, managing director, Don’t Waste UK. Alto-Shaam launches Rotisserie Oven with unique Self-Cleaning capability Automatic grease collection and selfcleaning systems increase safety and reduce labour A new rotisserie oven that features an automatic grease collection system, a self-cleaning cycle, and programmable, touchscreen controls is being launched by Alto-Shaam in February. The new ovens are designed to be very safe and easy to use, and save significant time and labour costs for deli and foodservice operators. The new aesthetic design makes them ideal for front-of-house operations, while a series of innovations enable them to consume a fifth less energy in the cooking process, and more than a third less water than competitive models in cleaning. even cooking and uniform browning. A bespoke, double-pane glass door keeps heat in the oven and is cool to the touch outside the oven, thus further enhancing operator safety. The automatic selfcleaning system utilises patentpending water jets that cut through the toughest grease while minimising water use. The ecofriendly cleaning system uses 35 percent less water than competitive models and has no moving parts, which increases its reliability and reduces maintenance costs. Cleaning products are available in the form of tablets or hands-free liquid injection. “We work with our customers to determine the best solution for their Deli and foodservice operators needs based on industry trends, menus are able to set the perfect cooking and packaging type,” Simmelink environment for an ideal finish. added. “By tailoring equipment Alto-Shaam’s rotisserie ovens are systems to the customer, we are able to programmable—allowing operators exceed their expectations.” to create their own recipes with four cooking stages and seven browning levels for the perfect level of crispiness. unload and load product as needed, with reach-in and pass-through configurations available. Introducing hot chocolate with a difference - with 50% less sugar Not for nothing have Fairtrade Vending introduced a delicious hot chocolate with less than 50 per cent sugar. Hot chocolate traditionally has a high level of sugar content, which is recognised as being a contributor to the high levels of obesity in society today. Fairtrade vending offer two models of hot chocolate dispensers for an ever-increasing demand for ‘Less Sugar’ in our beverages. In association with Van-Houten – the world’s leading brand of chocolate drinks, is focused on introducing the 50 per cent less sugar chocolate to the restaurant and high street markets. As with all Van-Houten chocolates drinks, all the cocoa is ethically sourced. Fairtrade Vending also branded and bespoke hot beverage systems, including CRÈME BRÛLÉE for those wishing to experience and offer a flavour sensation. For more information, please call 01634 726163 or email mike@fairtradevending.co.uk or alternatively, visit www.fairtradevending.co.uk. FISH & SHELLFISH: Prawns, mussels, clams, lobster tails, salmon and other firm fish steaks. VEGETABLES: mange-tout, broccoli florets or tenderstem, carrots, cauliflower florets, asparagus, shredded green/white/red cabbage, petit pois, leeks, sweetcorn kernels or baby ears, wilted spinach, bok choy. SPIRALIZED VEGETABLES: courgettes, thick broccoli stalks, cucumber, celeriac, kohlrabi, bell pepper, butternut squash, beetroot, sweet potatoes! Odd Bits: steam nuts in a towel then rub to remove skin; Poach Eggs in cups/ramekins There’s two models available: the smaller chefSTEAM (VS200) can have either 2 x 10oz or 1 x 20oz baskets (566gr); the larger unit (VS350) can have either 2 x 20oz or 1 x 40oz basket (1032gr). Call the Equip Line team on 01895 272236 or email info@equipline.co.uk to arrange a demonstration – we’re happy to bring a unit to you because, as the saying goes, seeing is believing. Cook frozen or Speciality Fresh Burgers, Beef and Lamb Steaks - rare/medium/well, Pork Steaks, Marinated Chicken breasts and pieces, Spiced Lamb Koftas and Kebabs, Shell on Prawns, Lobster Tails, Salmon, Tomato Halves, Mushrooms, many other vegetables and more. Used by Burger King worldwide, and many other major National and International brands, this automated conveyor char-broiler offers consistently cooked product which allows lesser skilled staff to operate to specified cooked standards and provides the all-important consistent temperature control and consistent product quality. Call to discuss your product and arrange a private demonstration: we actively encourage customers to bring their own products so you can see the unit in action and taste the results, cooked alongside support equipment that permits a fast and efficient production: includes Antunes Vertical Contact Toasters for caramelised buns, and Antunes ‘Cheese Melters’ that not only melts cheese in a few seconds but also gives burger temperatures a boost (and steams many other products if you need it to!). JetFLOW NIECO Conveyor Broilers Chargrill Automatically Fast . Fresh. Consistent Temperatures Cook frozen or specialty fresh burgers, Beef & Lamb Steaks rare/medium/well, Pork Steaks, Marinated Chicken breasts and pieces, spiced Lamb Koftas & Kebabs, Shell on Prawns, Lobster Tails, Salmon, Tomato halves, mushrooms, many other vegetables …and more. SEEING IS BELIEVING On site trial of the NIECO Conveyor Broiler at customer restaurant 19 th May 2017. Burgers cooked side by side. Upper image shows customers’ own burger cooked on the NIECO in 3min45secs to core 70c+ Lower Image shows their burger cooked simultaneously by customers’ own chef on own chargrill in 8.5mins to core 70c+ Come and try out your burgers: double the output and the quality. Call to arrange a demonstration. 100 of the UK’s most professional catering equipment distributors with a turnover of over £450 million each year, amounting to almost 50% of the UK market. CEDA members partnersspecification, give you peace of mind when Why choose a CEDA Member for any foodservice space design,and equipment buying catering equipment: install, training and maintenance?